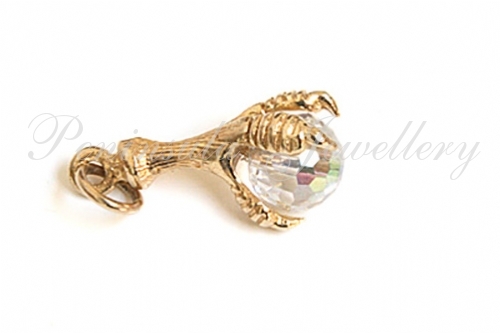 9ct gold Claw, with excellent detail, clasping a 6mm round crystal ball. Complete with standard ring bail. Dimensions: 16mm long, excluding bail; 8mm wide at the widest point. Suitable for use as a pendant or charm. Made in England. Presented in a luxury gift box – Great Gift! !